This image represents several days (better nights) of hard work which I started aboard Discovery ship and I have finished at home. 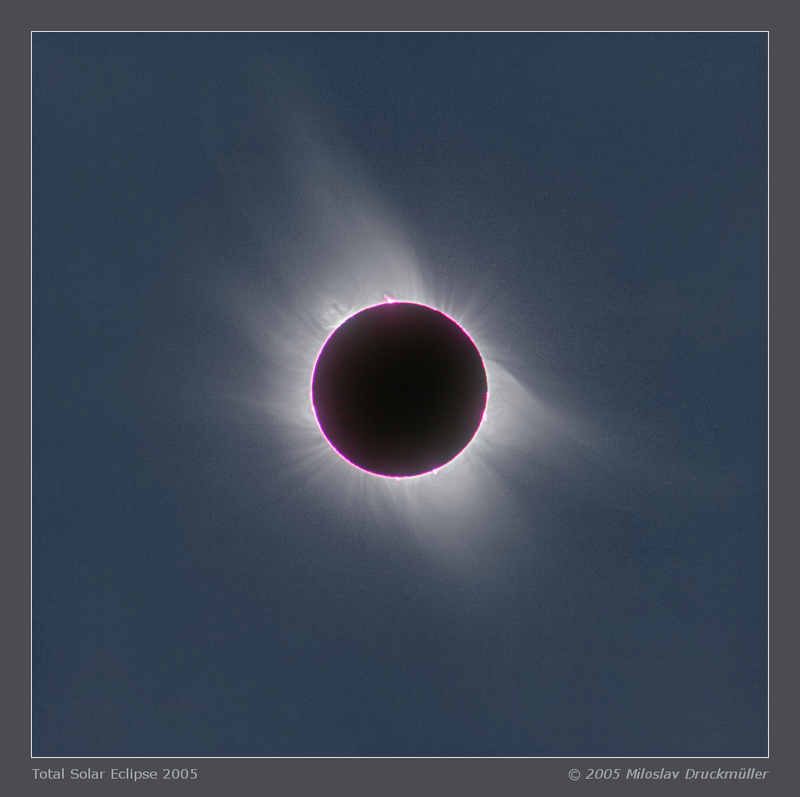 Because of the cirrus cloud, which interfered the eclipse observing, the contrast of the inner corona was extremely low and it took me a lot of time to find a filtering procedure which enabled me to create an image in an acceptable quality. 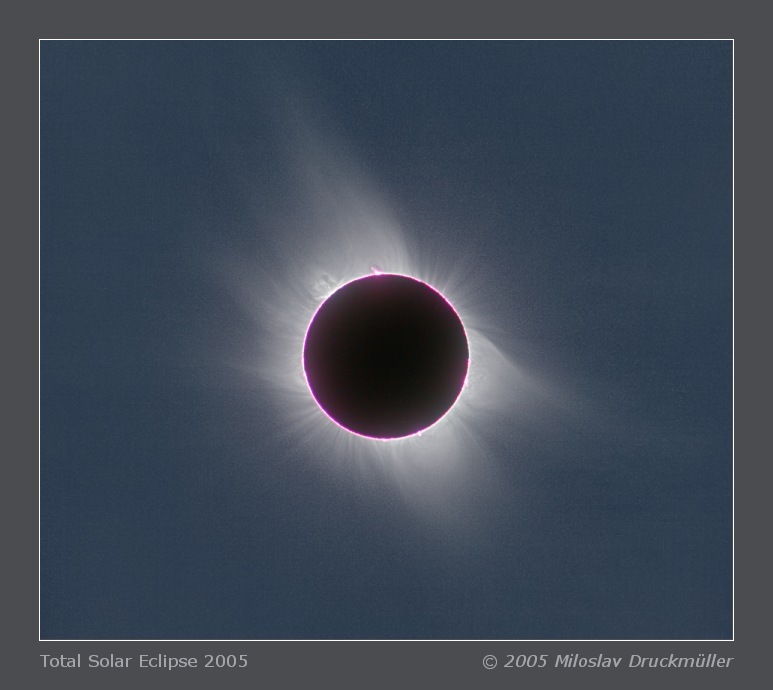 During the 2005 total solar eclipse the solar activity cycle was about two years before the minimum and the coronal shape had a lot of features typical for minimum. Especially both magnetic poles of the Sun are well recognizable by typical simple structure of powerlines which are nicely visualized by inhomogeneity of plasma in the solar corona. Note The graph above the table shows the average values of the relative number of sunspots in which the red arrow indicates the time of 2005 eclipse. Graph was created according to data from Sunspot Index Data Center, Brussels.